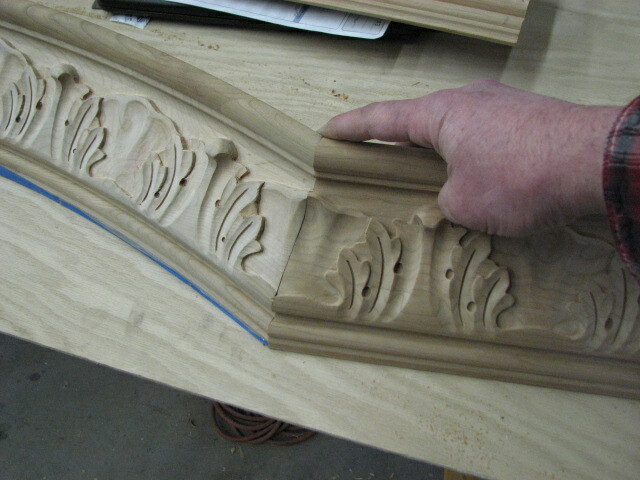 Here is a variety of carvings done in Cherry for a recent job. I was so busy getting this done that I didn’t take too many photos but you can get the idea of what was done. 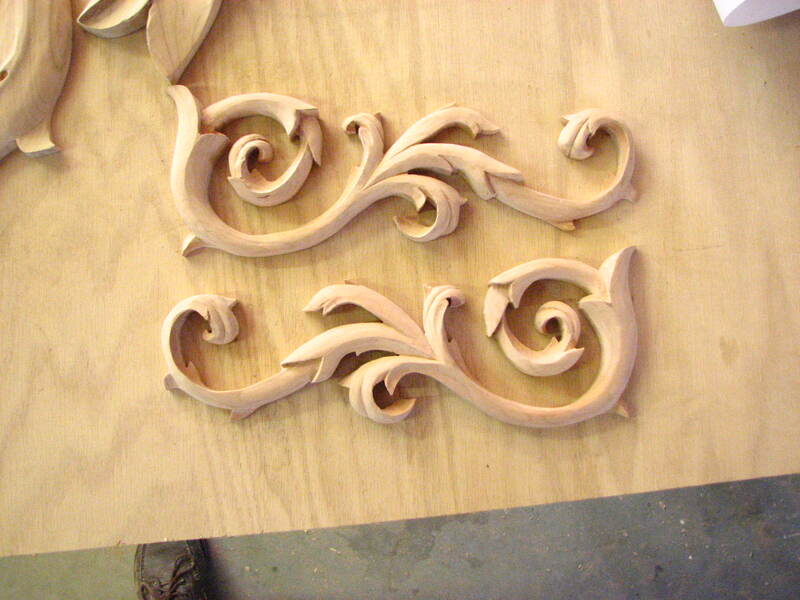 Not shown are a number of the legs as I’ve done on other jobs as well as more onlays (larger) than the ones shown here. 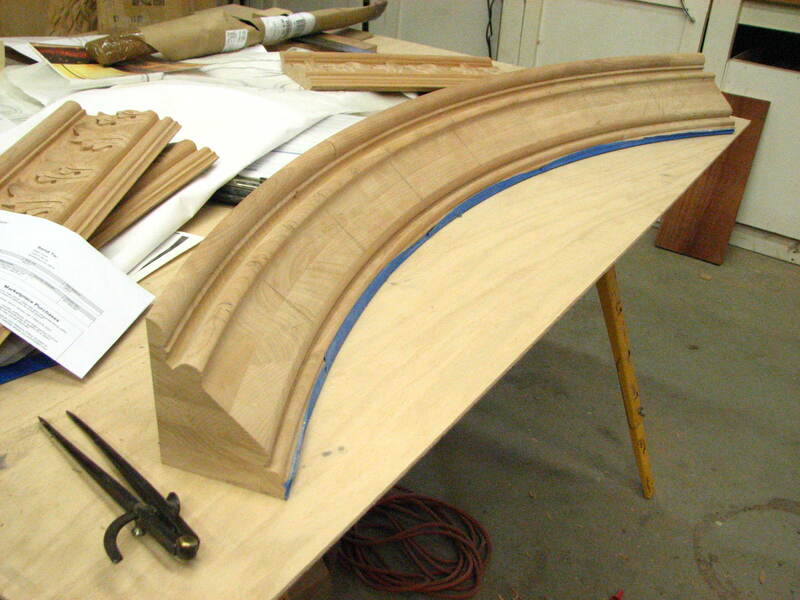 Many of these shots are prior to the final cuts and sanding so they may look a bit rough here. 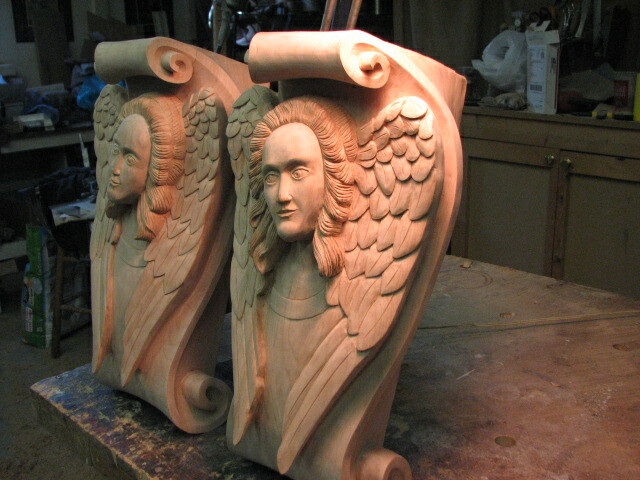 two of four legs carved. 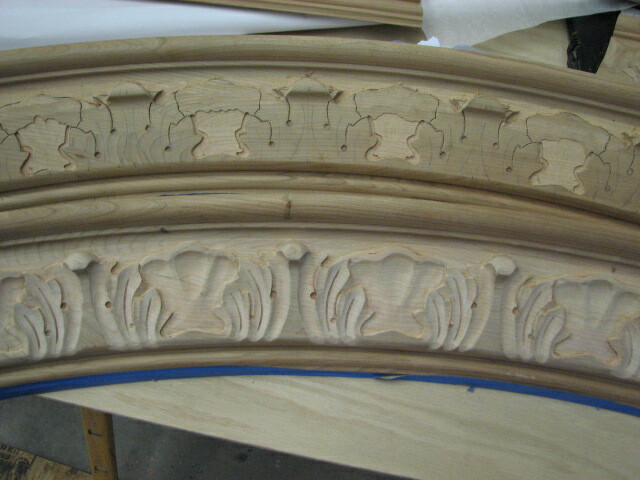 Two were 34 inches and the others were 8 ft.
One of two four ft. arches that were carved with a leaf on leaf Acanthus design. 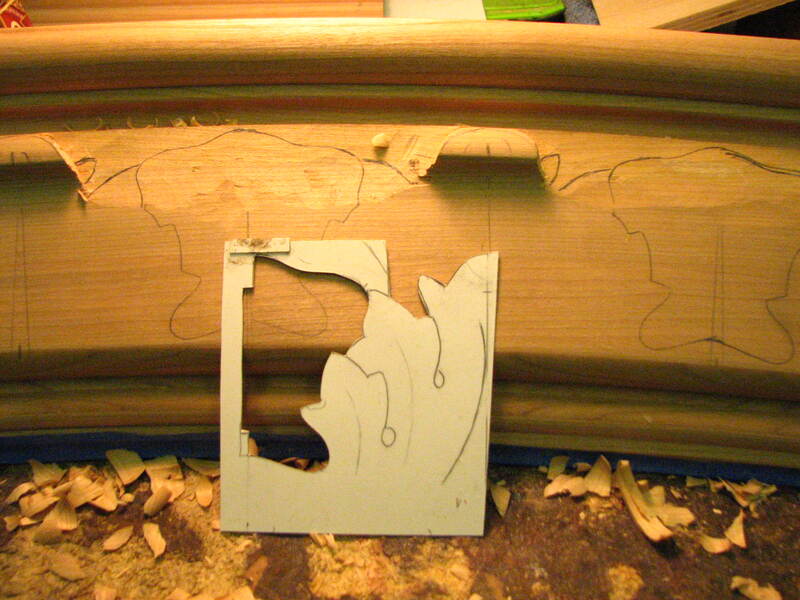 Laying out the design and beginning the carving. The template I made to lay out the design. One completed and the second begun. 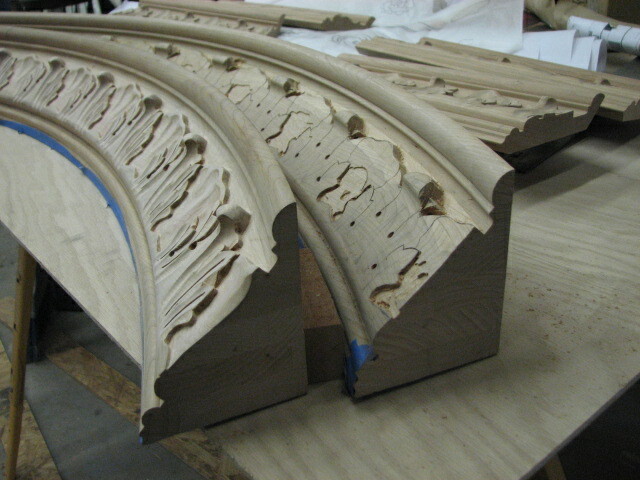 Side view showing the profiles. 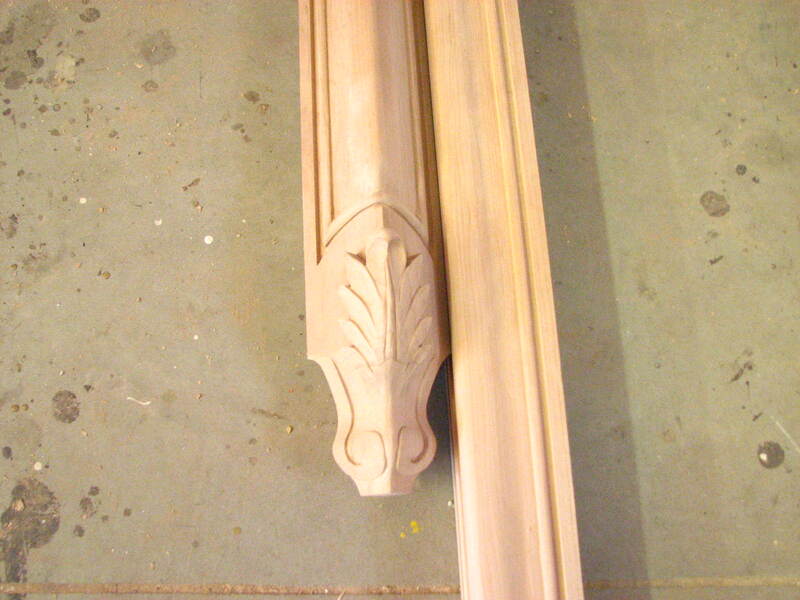 It was necessary for appearance sake to have the design continue into the straight sections of molding for a truly custom look. These can’t be mitered just anywhere. 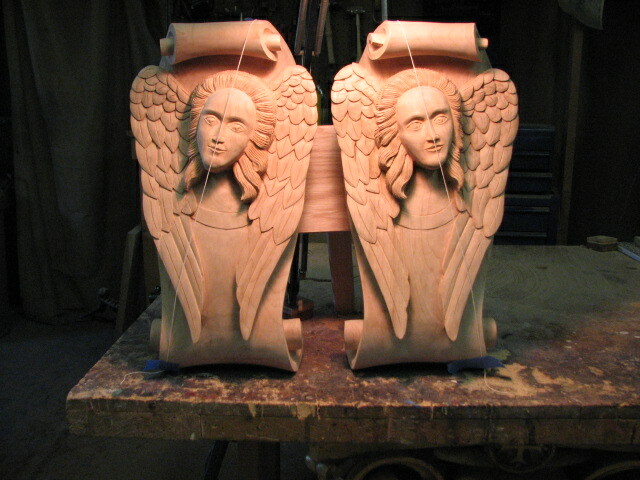 The job also required some corbels that were 28 inches high done as Angels. 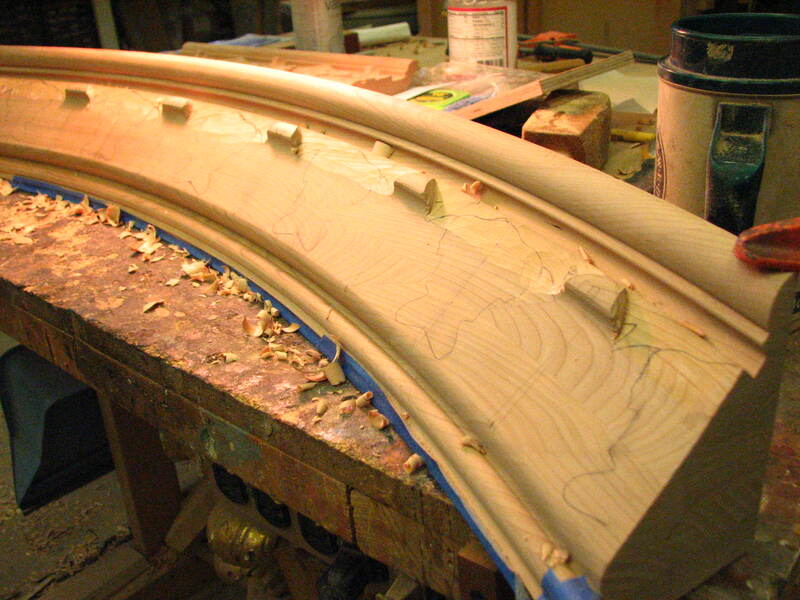 Here one is nearly complete and the other is glued up. 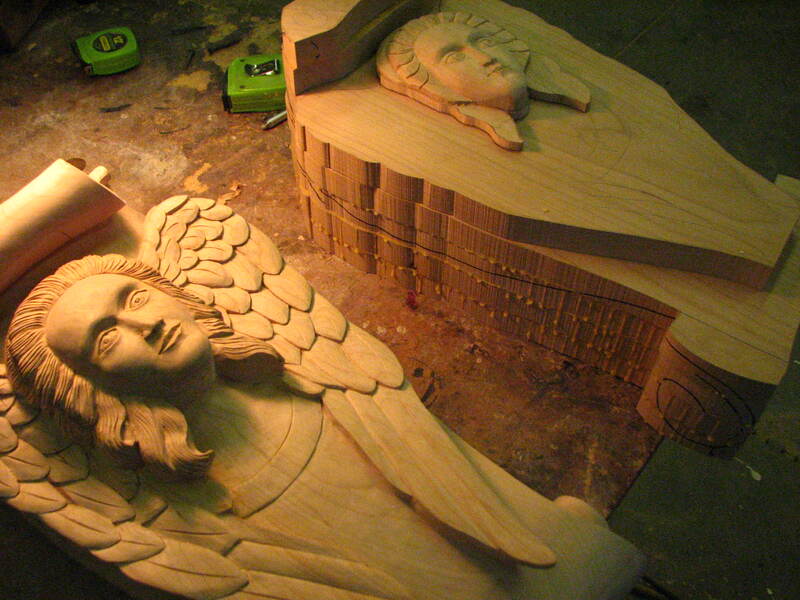 Shots of the completed Angels. I can see you have been keeping busy. Wonderful work! 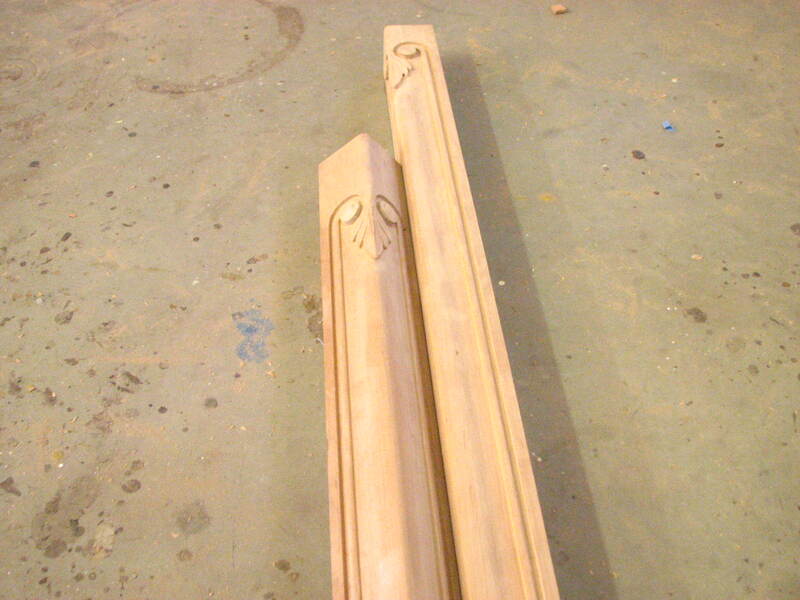 Where will these pieces be placed….in a church? Yes, I’ve been extremely busy lately. 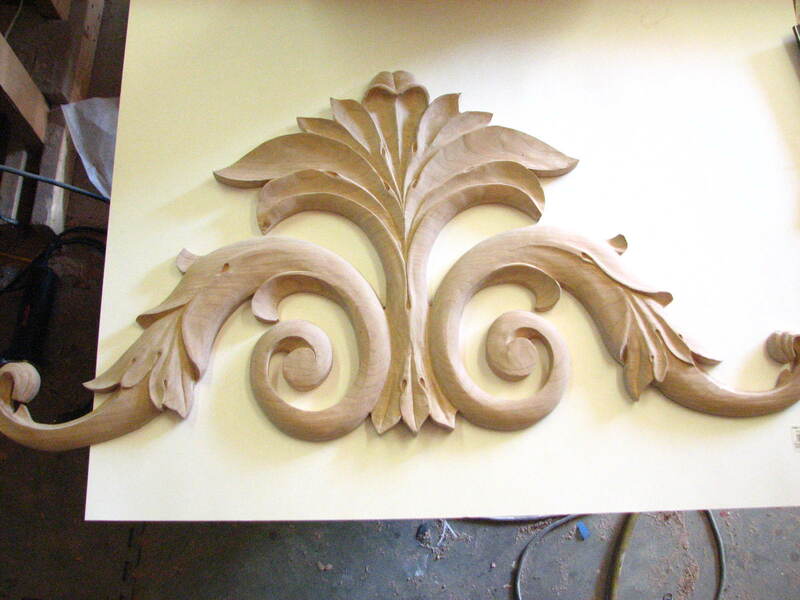 These carvings are for a private home.